Local Trust, the charity that champions communities and operates Big Local, has been offered in the region of £500,000, to be used to advance, advocate and promote community development. The money has been offered by the Community Development Foundation (CDF), which closes at the end of March 2016, and has arranged to transfer its remaining assets to organisations that share its charitable objects. Our trustees plan to consult widely on a spending plan that takes advantage of our future life-span of at least 10 years. CDF say they have chosen Local Trust as the best home for their cash assets because we have similar charitable objects, as shown in the community development approach we have taken to Big Local. 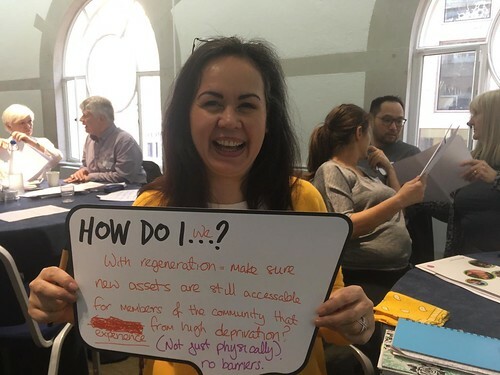 Big Local is an opportunity for residents in 150 areas in England to use at least £1 million each over at least 10 years to make their communities better places to live. The programme is funded by Big Lottery Fund through an endowment. CDF led the consortium that established Local Trust in 2011 to administer the endowment and operate Big Local. CDF are also providing a further £20,000 for us to lead a legacy project – an opportunity for all those who work with communities to reflect on progress and shape the future of community development. The project will run with the support of a number of funders during 2016/17. We expect it will focus on practical application and real impact by identifying and promoting benefits of community development to a wide range of influential audiences, across the four nations and a range of sectors, and at country, regional and local levels. We hope that it will convey political independence and will build on CDF’s contribution to community development, while exploring the future role and scope for community development in the UK. We expect work of the project to be evidence-based, and to consider what community development can and could achieve, given recent and ongoing changes to public sector funding and to local and regional democratic arrangements. The legacy project should also guide Local Trust in how we best invest the legacy money to advance, advocate and promote community development to create lasting, long-term change. Big Local remains our main programme and focus, and will continue unchanged. Rather, the CDF legacy will help us take what we’re learning from Big Local’s successes, and use it to do even more to advance, advocate and promote community development in more places. Debbie Ladds, chief executive of Local Trust, said: “We’re proud to have been chosen to receive this legacy, as CDF are an organisation with whom we share values, a passion for communities, and much of our own history.